Build and compete through your clan in the most epic Clans War game! 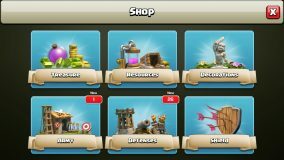 Download Clash of Clans updated APK v11.446.24. Clash of Clans is a strategical and managerial game in a virtual world. In Clash of Clans you have to build your own village. In village your powerful Clans will live and battle with millions of other players online. Build a powerful village with other Clans, so that you can beat enemy clans when a war happens. This game is free to play, but comes with in-app purchases. There are many units available which will be improved as you gain experience. There are two absolutely different stages. You have to build different building units and hire residents (need to be paid). Also build your defense structure, which is significant to block the enemy attack that will be coming soon or late. After building a powerful clan, fight your enemies and defeat them with you skills. This fight will test your strategy and skills. Clash of Clans is an addictive mixture of strategic planning and competitive fast-paced combat. Raise an army of Barbarians, Wizards, Dragons and other mighty fighters. Join a Clan of players and rise through the ranks, or create your own Clan to contest ownership of the Realm. Driving back the goblins is just the first step – your quest isn’t over until your clan reigns supreme over all others! Build your village into a unbeatable fortress. Thats Fun! Battle with players worldwide and take their trophies. Join together with other players to form the ultimate Clan, You may request others to join your clan or join other’s. Fight against rival Clans in the epic Clan Wars. Discover your favorite attacking army from countless combinations of troops, spells, Heroes and Clan reinforcements. Defend your village with Cannons, Towers, Mortars, Bombs, Traps and Walls. Fight against the Goblin King in an epic campaign through the realm. 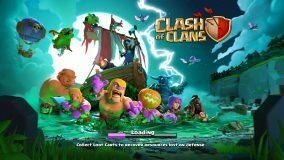 Note: Clash of Clans is an online game and requires a network connection to play . Visit Supercell website for more information. Although this is the latest version but you may want to look at older versions if you want functionality which is not available in this updated version. 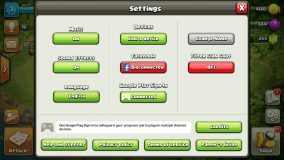 What's new in this version of Clash of Clans? April Update is here. Greater Challenges Bring Greater Rewards! That's not all! We're introducing 30v30 War Leagues, balance changes, new Troop levels, and a ton of Quality of Life improvements!